Home / How to Print FedEx Shipping Labels on your WooCommerce Store Order Admin Page? As a WooCommerce store owner, you are probably using FedEx shipping services to deliver products to your customers. We have discussed the process of displaying live FedEx shipping rates on your WooCommerce store in another article. One of the important steps involved in the order fulfillment process is generating and printing shipping labels. You can manage this directly from the FedEx website. However, for this, you will have to manually enter the order details to generate FedEx shipping label. It would be much simple, if you can manage the entire process directly on your WooCommerce store. 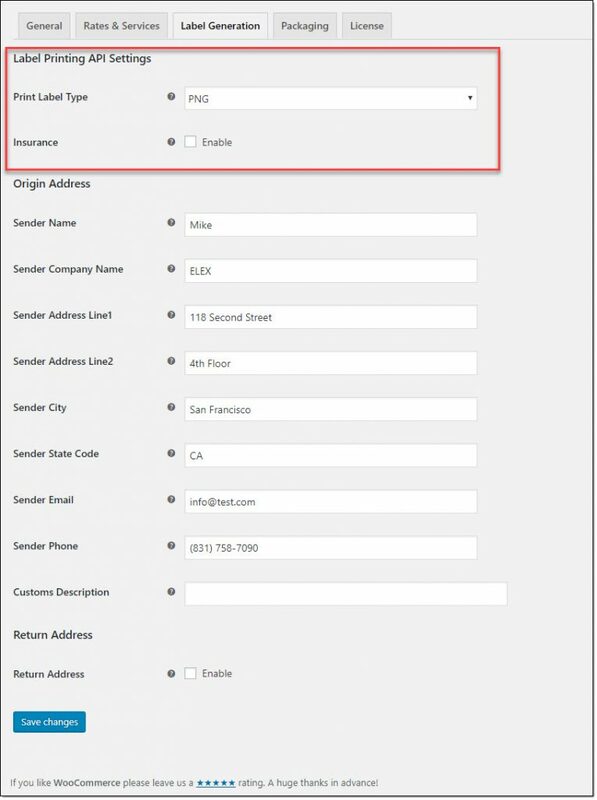 In this article we will discuss how you will be able to print FedEx Shipping labels directly from your WooCommerce store admin page. Watch the video tutorial below, or read on for a step-by-step description. What is a FedEx Shipping Label? 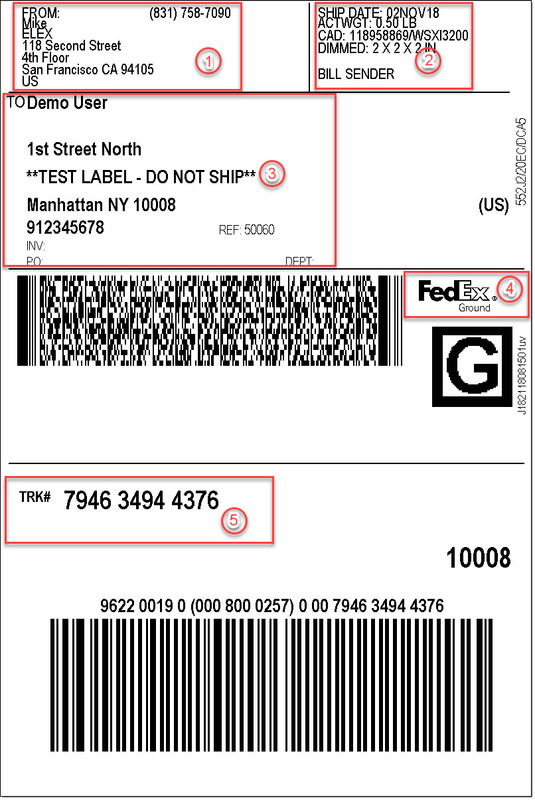 Before getting into the process of generating and printing a FedEx Shipping Label, let us quickly look at one. A shipping label is is an identification label that can be affixed on a shipping package, which includes information critical to the fulfillment of the package. A FedEx shipping label will contain specific information, which can be read by both humans and machines Let’s take a quick look at a sample FedEx Shipping label, and understand its major features. Shipping date, along with weight and dimensions of the product. The FedEx service that is used for fulfillment. There is also a barcode, which the customers can scan to understand the status of the shipment. How to generate and print FedEx Shipping Labels from your WooCommerce admin? Let us look into the process of printing FedEx shipping labels directly from your WooCommerce store admin. With the ELEX EasyPost Shipping Plugin, you will be able to print FedEx shipping labels from the order detail page of WooCommerce. First, let us look at all the settings you need to configure to manage this. You can access the plugin settings through WooCommerce > Settings > Shipping > EasyPost. 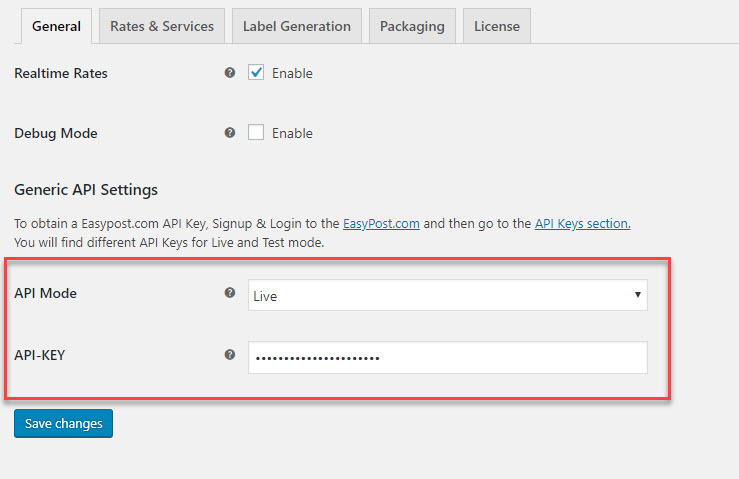 On the General tab, you can select the API Mode (Live or Test), and the API-Key (which you will find from your EasyPost account). Once you have configured the General settings, you can move to the Label Generation tab. Here you can set the label printing API settings. In the Print Label Type field, you can choose PNG or PDF, according to your requirement. You can also enable the Insurance field here, if required. Next, you need to enter the Origin address. 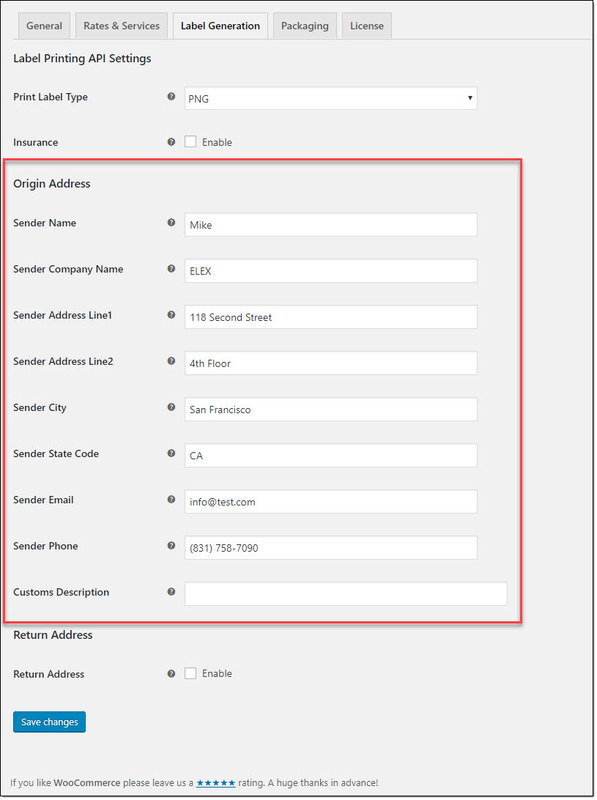 Enter the complete address with City and state code, along with your email id and phone number. Here, you can also enter a customs description as well, which is a requirement when you are doing international shipping. 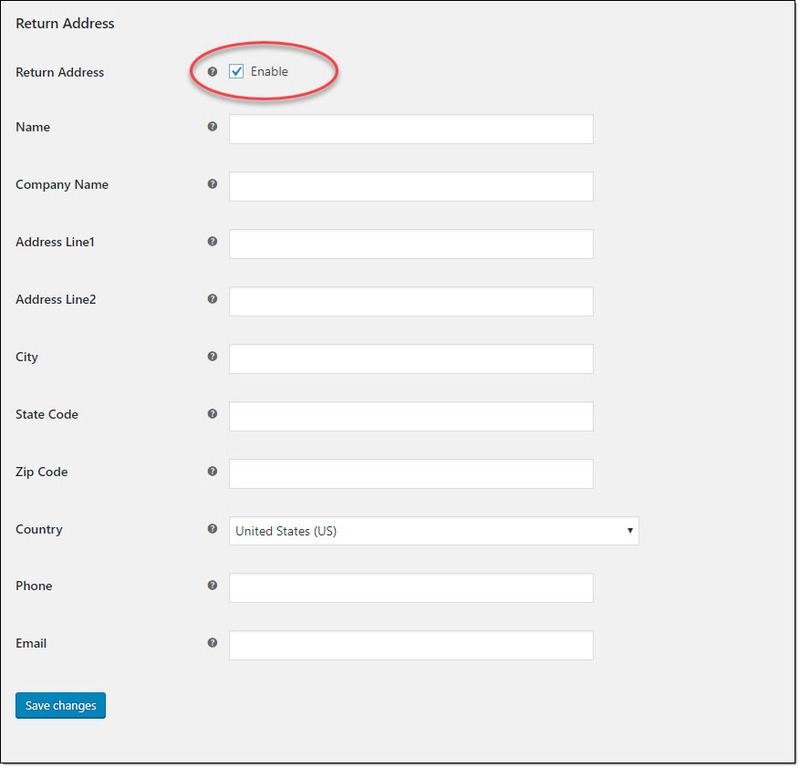 In case, you want to enter a different address for returns, you can enable the Return address field, and enter the alternate address. You have to make sure all your products have weight and dimensions entered before going live. Now, let us see how to generate and print a FedEx shipping label, when a customer places an order using one of the FedEx services. On the checkout page, the customer selects a specific FedEx Service and places an order. You can log in to your WooCommerce store admin and access the order details page (WooCommerce > Orders). Here, you can access the specific order. You will see the specific service that was selected by the customer while placing the order. Also, you will see a section EasyPost.com Shipment Label. Click the Generate Packages button to automatically create shipping packages. The weight and dimensions of the package will be automatically populated from the product details page. Select the particular FedEx service that the customer has chosen for this order, and click the Create Shipment button. Now, the shipment will be created by the plugin. You can click the Print Label button to print or download the label. You will also find the FedEx tracking ID here. 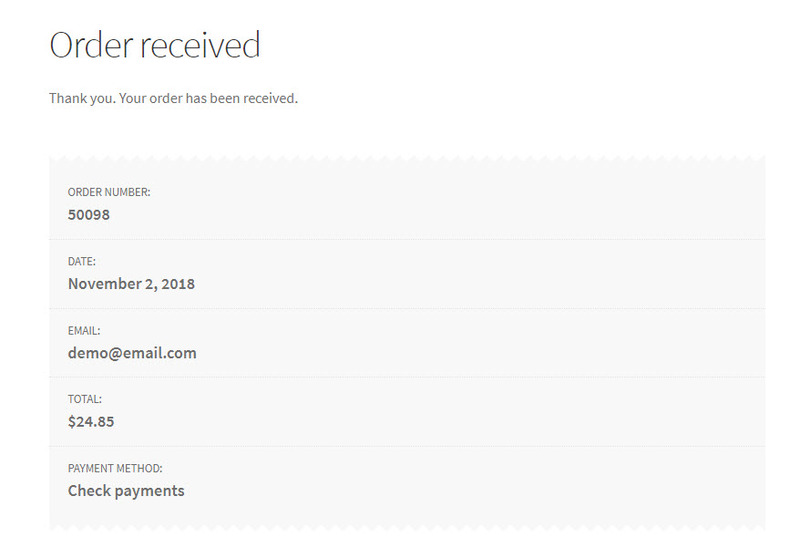 The tracking ID will be sent to the customer along with the order completion email. The label will open in a new tab on your browser window. This you can print, if connected to a printer. You can find out more features of the plugin on the product page. You will find more information on how to configure varied settings of this plugin on the documentation page. Contact the support team, if you have any queries regarding the plugin.